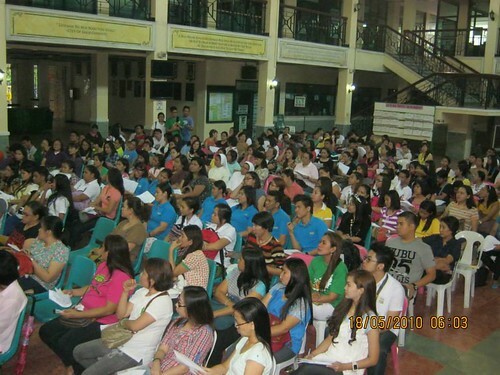 ASP Marikina Valley Chapter conducted a back to back seminar on “Managing Children with Special Needs at Home” and “Managing Children with Special Needs in School” last 23 August 2014 at the Marikina City Hall. The seminars were conducted in response to the observed growing number of children with special needs which has caused concern to parents, schools and learning institutions. Behavior management, both in the classroom and at home, is crucial since these children have unique symptoms and needs that go beyond the normal “childish” behavior. If not properly addressed, incidents causing trauma to the child, anxiety to the parents and teachers and embarrassment to the school may not be avoided. It is in the best interest of all parties concerned to work hand in hand in dealing with the problem. conditions of the children with special needs and what strategies can be adopted to manage them. Ms. Karla Czarina D. Tolentino, OTRP talked on Behavior and Sensory Integration, while Ms. Angela Claudine M. De Leon, SLP centered her talk on Language Stimulation. Applying SPED techniques were discussed by Ms. Marilou Gerero-Vispo and Ms. Jacqueline Glori, both licensed and practicing SPED specialists. ASP Marikina Valley Chapter President Mr. Alex Cabason also emphasized the importance of having a family support group and made a brief presentation on ASPMVC and its activities. Morong, and Cardona; and provinces as far as Bulacan, Cavite, Laguna and Batangas.